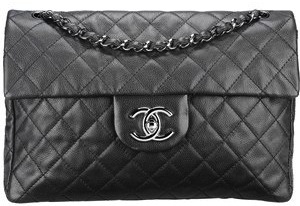 Did you know that Chanel outlet store replicas are illegal products? The fact that they are not actually CHANEL but using CHANEL designs, logos, names, and trademarks without permission makes replicas against the law. It is unlawful to produce, manufacture, advertise, promote and sell replicas. Outlet stores, centers, malls and factory stores by nature are popular and can certainly be legitimate and welcoming businesses. In recent years outlet shopping has even become a favored family destination. Restaurants, palm trees, kid's playgrounds, water features, and grassy green lawns line the common areas. Unfortunately, nefarious replica traders also recognize the attraction of bargain outlet prices, and set up stores under the guise of an outlet for cheaply priced designer accessories. But instead of selling original goods at 30% markdowns, they sell knockoffs. Being discriminating while shopping at outlets, in person or online, is the key to a successful and valuable purchase. To be sure that you are getting authentic CHANEL, shop only at the CHANEL boutiques. Products found at cheap designer handbag outlets may not be the cheap bargain people hope that they might be at first. Whether shopping for a new pair of CHANEL sunglasses, handbag, or watch, illicit online replica designer outlets are often very adamant about taking in your money. Often replica designer handbags outlets are unyielding in trying every trick in the book to try to take our money. Making money is the sole focus of online replica outlets, contrary to much of the implausible rhetoric and unsubstantiated promises found on many replica outlet websites. Stepping away from the cheap bargains for a high end accessory will keep you safe from potentially getting a low quality fake, which wouldn't turn out to be a such a good deal. Everyone can avoid getting a fake Chanel bag or watch by shopping only at the CHANEL boutiques.